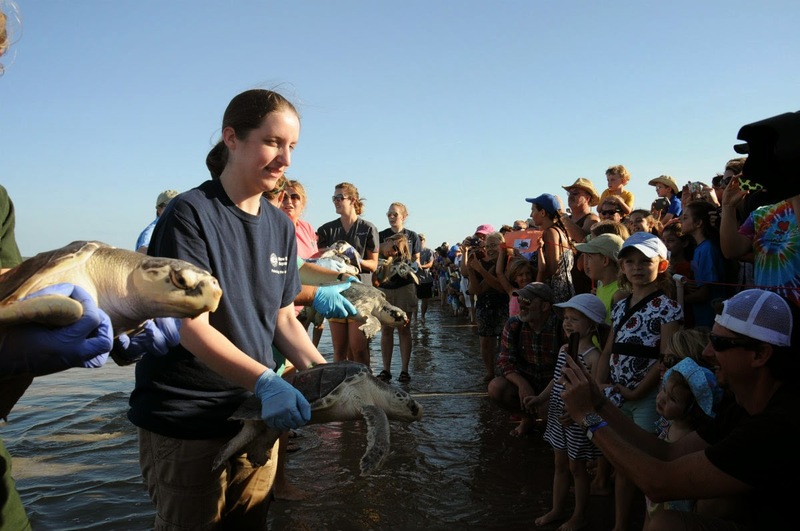 After an epic sea turtle stranding season, most of our last few patients are ready to go home. 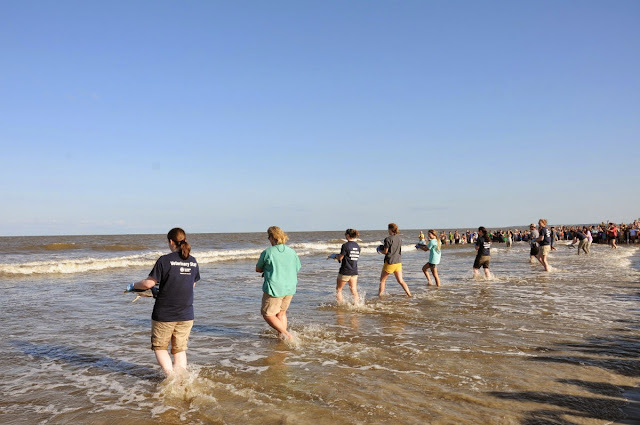 The team packed up 24 turtles on Friday and drove them in style all the way to the warm beaches of Jekyll Island in Georgia. Here are a couple shots of the rescuers removing turtles from the pools at our Animal Care Center in Quincy on Friday. The turtles are slathered in an ointment to keep their skin moist while they're out of the water. Each one is nestled into its own comfy box for the trip south. See pictures of the inspiring release here! 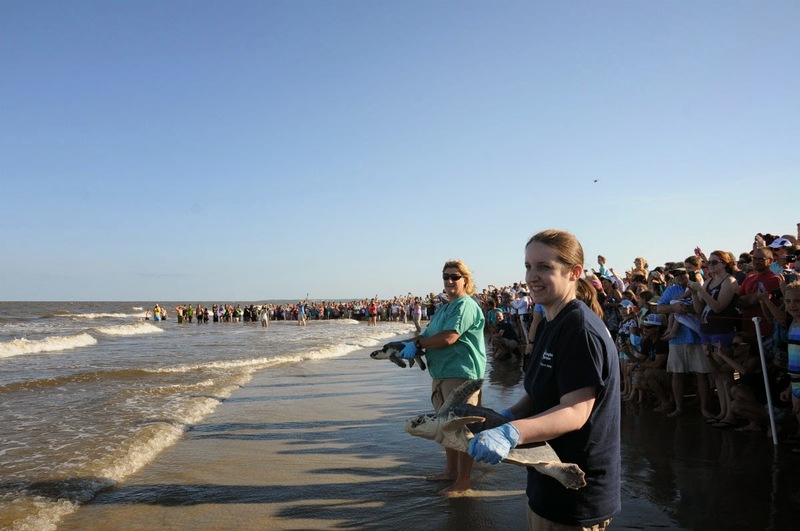 A recent story about the colossal 2014 turtle season in blue, our members' magazine, mentioned that the Rescue Team uses banana boxes to transport their sea turtle patients. 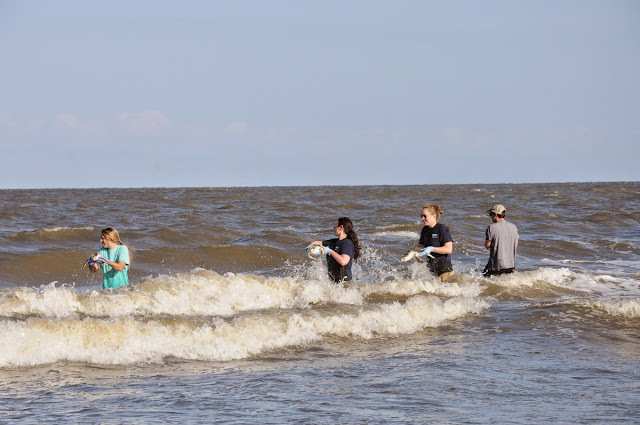 There wasn't space in the article to go into the back story of the boxes, but we wanted to offer some additional information to our blog readers. ID the number on the shell of the turtle inside. 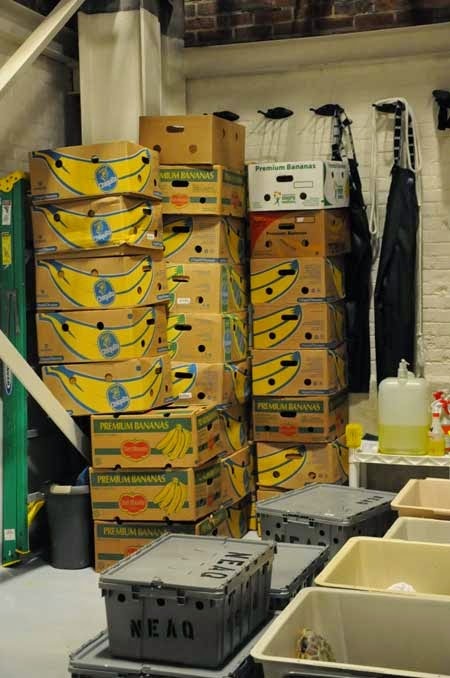 Our rescue partners at Mass Audubon's Wellfleet Bay sanctuary are the ones who got us hooked on the banana boxes. They usually start stockpiling the boxes early in the fall so they have enough to transport each turtle to the Animal Care Center. 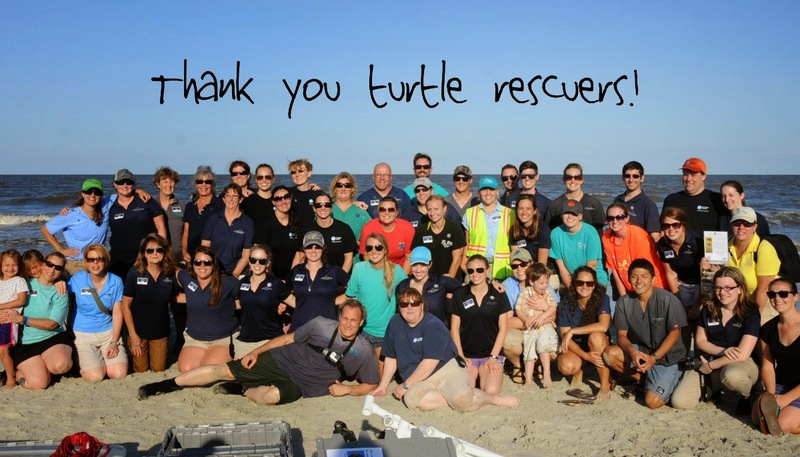 This was the first year we helped acquire boxes since stores on the Cape were out because of the staggering number of stranded turtles. Banana boxes stored and ready for transport. 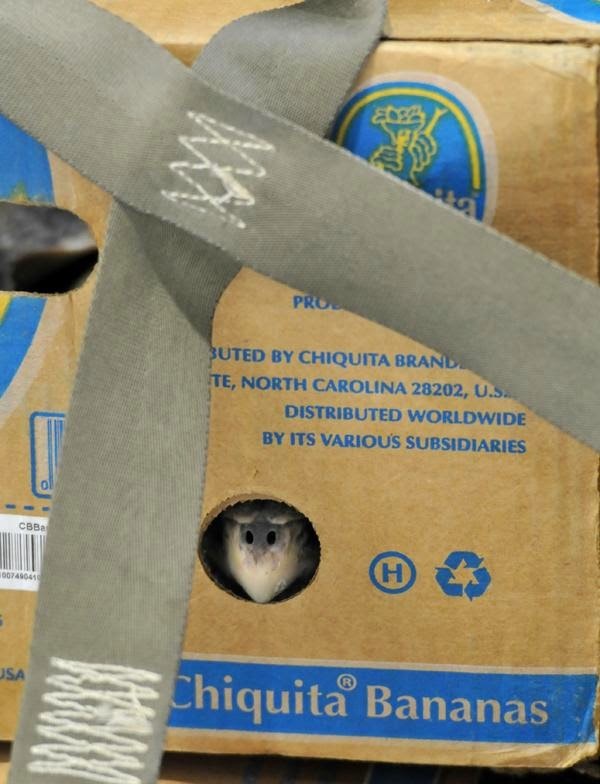 There are several types of banana boxes but we primarily use Chiquita. Prior to transporting the turtles via plane, we provide the box measurements to the pilots. 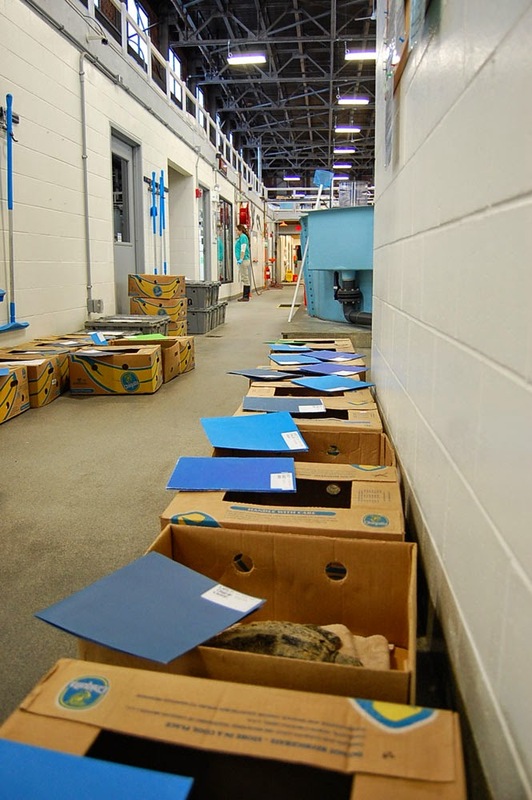 So that we know how many boxes will fit in the various planes that we use to transport turtles to rehab facilities up and down the East Coast. This year we ran into a problem with some other types of banana boxes getting in the mix. The measurements of the other brands' boxes were not quite the same as the Chiquita boxes. 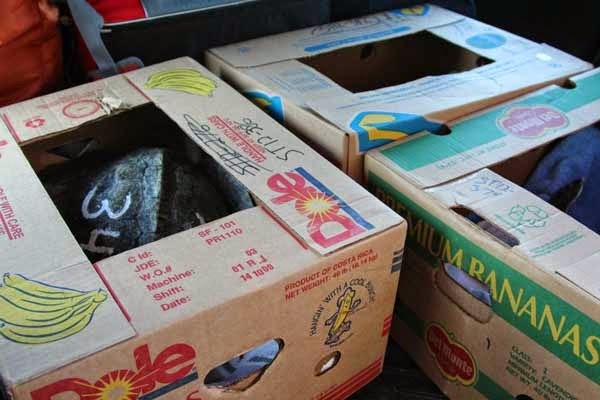 When we pack up the turtles for transport, we make the banana boxes very cozy and safe. We put a liner in the box and provide a towel for padding. When appropriate, we also add heat packs approved for animal transports to the tops of the boxes and cover the heat packs with cotton towels to keep the warmth in. It is important to note that the heat packs are secured to the top of the box so the turtle never comes in contact with the heat source. 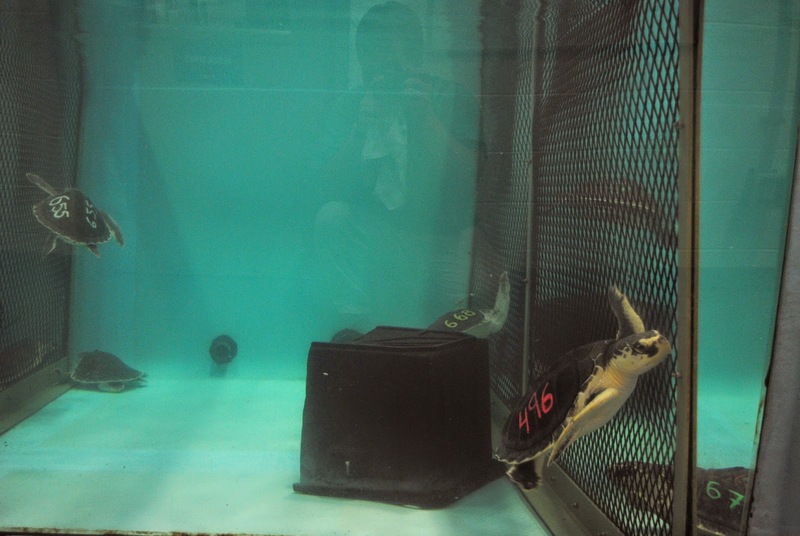 Our rehabbed turtles travel in style! blue magazine is a quarterly publication distributed to our members. 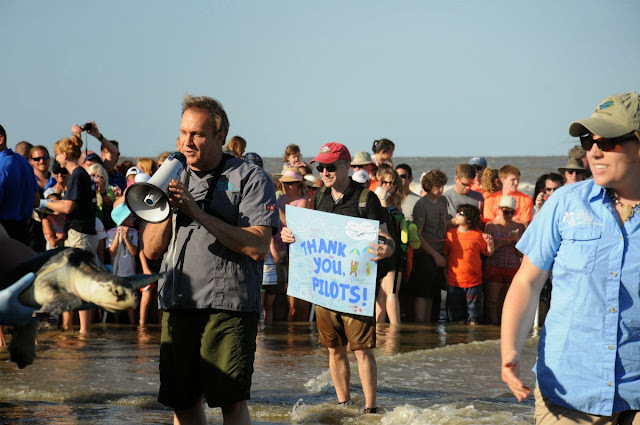 Readers get tidbits about what's happening around the building as well as stories about our conservation and research efforts around the world. Sound interesting? Consider becoming a member! Not only will you start receiving blue, but you'll enjoy express visits to the Aquarium, discounts around Central Wharf and the satisfaction of supporting the Aquarium conservation and research efforts.